Foresting PTON recorded a daily trading volume of 233.67 BTC in two days after listing. It ranked fifth in trading volume among 243 coins listed on the BTC market and is trading at a price that is 8.5% higher than the day before (as of 8 pm (KST), March 24). “We believe that the trading volume of PTON will increase even further as the cryptocurrency market has been revitalized around Bitcoin and Ethereum,” said Foresting team. 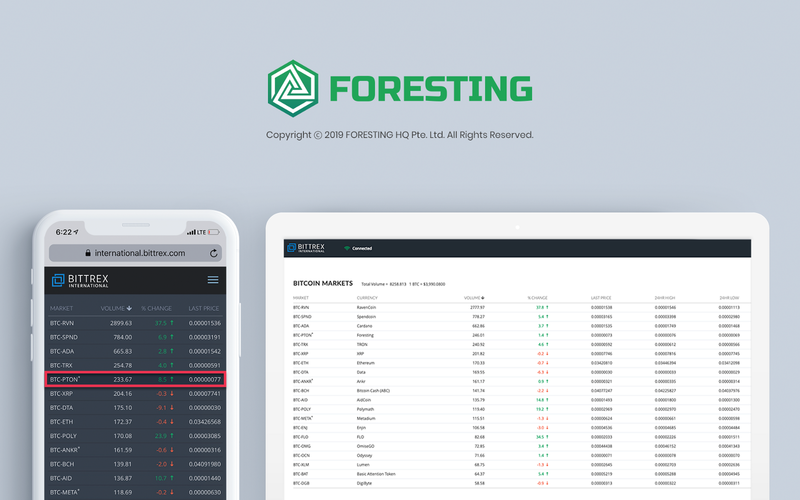 Meanwhile, Foresting HQ will be listed on one of the largest domestic cryptocurrency exchanges as announced previously. The company keeps receiving listing proposals from global crypto exchanges.